Mortgage loans allow people to finance the purchase of a home that they are unable to pay for with cash. After the loan is accepted, the borrowers make monthly mortgage payments to the lender until the loan is paid in full. The most common loan term is a 30-year mortgage. If the borrowers cannot afford to make monthly mortgage payments, the lender attempts to collect past-due amounts. If this situation arises, the borrowers are faced with a few choices. A deed in lieu of foreclosure may be possible if the lender agrees. If not, the lender will foreclose on the home. Generally, a borrower’s mortgage payment is due at the same time every month. Most lenders offer a grace period of 10 to 15 days to make a payment. The exact amount of the grace period is disclosed in the loan documents signed at closing. As long as a payment is made in this time frame, there are generally no ramifications. However, on the day after the grace period ends, a late fee is assessed and a reminder will be sent to the borrowers. If no payment is received by day 30, the loan goes into default. The late payment will also be reported to the credit bureaus at this time. Between 60 and 90 days from the initial missed payment, the lender will send a notice of default to the borrowers. This is a final attempt from the mortgage company to collect payment before foreclosure proceedings begin. Some lenders may be willing to negotiate with the borrowers to avoid foreclosure. A deed in lieu of foreclosure is an agreement between the lender and the borrowers in which the borrowers willingly sign over the deed of the home to the lender. The borrowers must meet certain eligibility requirements to use a deed in lieu. They must be in financial hardship and unable to make the mortgage payments. The mortgage loan must be unable to be modified to reduce payments. Finally, the borrowers must try to sell the home for at least 90 days or sell it unsuccessfully for less than what is owed. If the requirements are met, the bank may be willing to accept a deed in lieu of foreclosure. The foreclosure process involves legal action and intervention. After the borrowers receive the notice of default, the mortgage lender files the motion to begin foreclosure with its legal counsel. From here, the attorneys work with the court system and specific state laws to finalize the foreclosure. The end result is generally a public auction of the property. The bidding begins at the amount the lender is owed. Depending on the laws of the state where the property is, the borrowers have additional chances to remit payment and regain ownership of their home. What Happens If You Are Late on a Mortgage Payment? How Does the Foreclosure Process Work in Colorado? 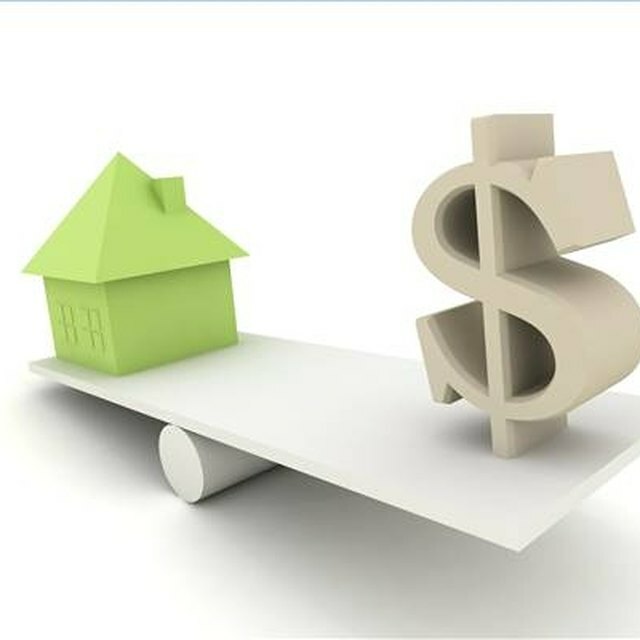 Both options provide means for the lender to earn repayment for the mortgage loan. If the property is foreclosed on, the proceeds of the auction go to the lender. If a deed in lieu of foreclosure is used, the bank owns the home and can then sell it. Bank-owned properties can be sold at auction or through a traditional real estate broker. These homes are generally sold at less than the market value in order to turn a profit quickly. It’s often thought that a deed in lieu of foreclosure will not negatively affect your credit score as much as a foreclosure would. This really depends on what the mortgage company reports to the credit bureaus. Often, the first late payment report has a very negative impact, and each late payment afterwards continues to lower the score. If a homeowner is aware of financial trouble, speaking with the lender early may prevent him from reporting negative marks. This is completely up to the lender though. If a foreclosure does occur, it usually remains on the credit report for seven to ten years.